Catholic Charities of San Francisco, San Mateo, and Marin, one of the Bay Area’s largest human services agencies, is pleased to welcome Patricia Feeney Gallagher, CFRE as Chief Development Officer. In this new position, Gallagher will be responsible for providing innovative leadership and strategic vision to all aspects of Catholic Charities’ development and fundraising program. Gallagher will join Catholic Charities on May 9, 2018. 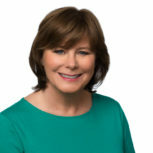 Gallagher has extensive knowledge of the San Francisco philanthropic landscape and is well versed in the complexities of human services fundraising. She brings over 20 years of extensive management experience in annual giving, capital campaigns, planned giving, events, and corporate and foundation giving. Gallagher has been the Director of Development and Outreach at St. Anthony’s in San Francisco since 2013. Previously, she served at Zuckerberg San Francisco General Hospital and Trauma Center as the Director of Strategic Gifts and also served at Convent & Stuart Hall (Schools of the Sacred Heart) in San Francisco as Interim Director of Advancement. She received her Bachelor of Arts, majoring in English at Santa Clara University, her Master of Non-Profit Administration from the University of San Francisco, and is a Certified Fundraising Executive.